7.0 m tourist visitors annually. Trading from two levels and with a 350 space multi-storey car park, Brunswick Shopping Centre is Scarborough’s only fully enclosed scheme and provides approximately 12,499 sq m of prime retail space. The shopping centre which is situated on Westborough, Scarborough’s prime pitch and main pedestrian thoroughfare, is anchored by Debenhams and Next. Retailers within the scheme include Argos, Topshop, Topman, Dorothy Perkins, JD Sports, O2, Internacionale, New Look, Bon Marche and Holland & Barrett. The unit is arranged on the upper level of the scheme. Located in North Yorkshire just off the A64 Brunswick Shopping Centre is situated in the heart of Scarborough just a short walk from the sea front and is the largest holiday resort on the Yorkshire coast attracting 7 million tourist visitors annually. The Brunswick Centre is a modern covered shopping centre anchored by an 57,938 sq ft Debenhams, with other retailers including New Look, Next, Dorothy Perkins and Topshop, making it the main fashion location in Scarborough. Town's main bus stops are directly outside the centre. Next alternative shopping destination is York 40 miles away. We are verbally informed by the Local Rating Authority that the premises have been assessed for rating purposes as shown above. Interested parties are advised to make their own enquiries to the Local Authority. Rent is exclusive of rates, insurance and VAT (if applicable). The service charge for 2018 is £7,609. 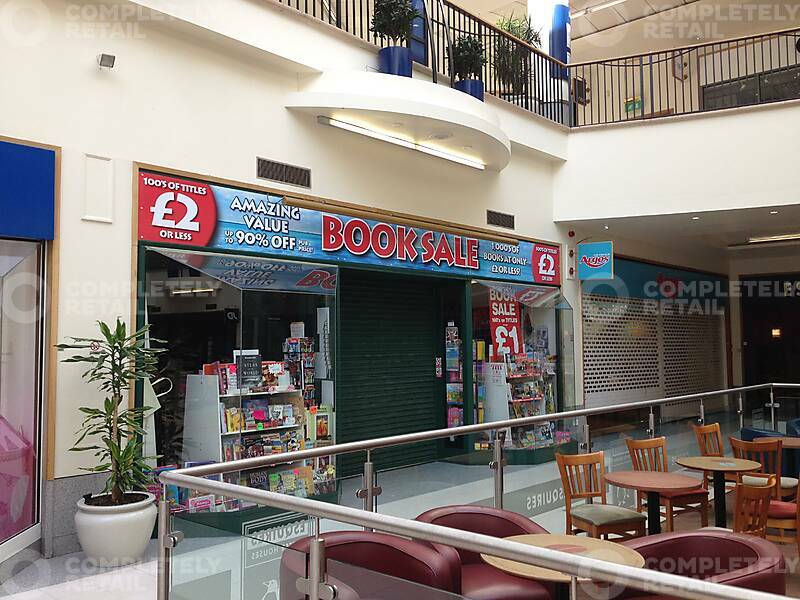 The unit is available by way of a new full repairing and insuring lease on terms to be agreed. The car park has 350 spaces. On the lower level there are 22 spaces for drivers with disabilities, located directly opposite the glass lift which services all floors. In addition, 6 mother and baby parking spaces with safe rear access are provided on the lower level near the customer lifts.